Use these tips to diffuse physical aggression in Alzheimer’s. Of the many difficult behaviors that may occur in people with Alzheimer’s disease, perhaps the most perplexing is physical violence. 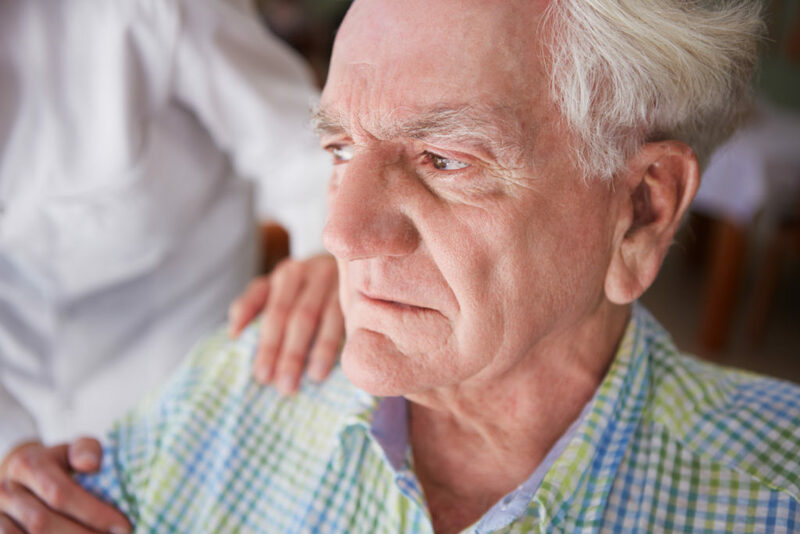 Even a formerly calm senior can be at risk of aggressive outbursts, especially in the later stages of the disease, resulting from a number of factors: a lack of self-control and inhibition, mental distress, physical pain or discomfort. When unable to communicate the right way, the person may have no alternate option but to use aggression to express his or her needs. Remain calm – and safe. As difficult as it is to keep your cool when confronted by a person who is biting, hitting, scratching, or throwing objects, using a loud voice or losing your patience will only intensify the older person’s behaviors. Stand back to ensure your protection, take a deep breath, and count to 5 prior to reacting. Find out what’s contributing to the outburst. It’s important to try to find out what prompted the violent behavior. Is the senior hungry? Too hot or cold? In need of a clean incontinence product? Has something happened to lead to feelings of rage, embarrassment, or stress? Is the senior in any physical pain? The most effective reaction is often distraction. Once you’ve confirmed that the senior’s primary needs are all met and hopefully were able to identify the root cause behind the behavior, restoring calmness often can be achieved with a change of location or activity. Play some favorite songs, browse through a picture album, go outside for some fresh air and comment on the flowers, trees, birds. And as the saying goes, an ounce of prevention is worth a pound of cure. Staying with a consistent routine of meals, snacks, rest, and exercise is crucial for those with Alzheimer’s disease. It’s also beneficial to keep a journal to document what’s triggering violent outbursts, the times of day they seem to be happening, and what has worked (or not worked). Most importantly, however, is ensuring that your own needs for self-care are met. Meeting the needs of a loved one with Alzheimer’s is depleting, both physically and emotionally. Partnering with a competent respite care provider with expertise in providing the specialized dementia care St. Louis seniors need is the ideal solution for both the older person with Alzheimer’s disease and the family members providing care. At Compassionate Nursing Services, we enable family caregivers to have the chance to take much-needed time to relax and recharge with the help of our professional, compassionate experts in dementia care in St. Louis and the surrounding area. Contact us for a free in-home consultation to learn more at 314-432-4312.